"Moon draws on 180 years of expertise to weave exceptional fabrics. 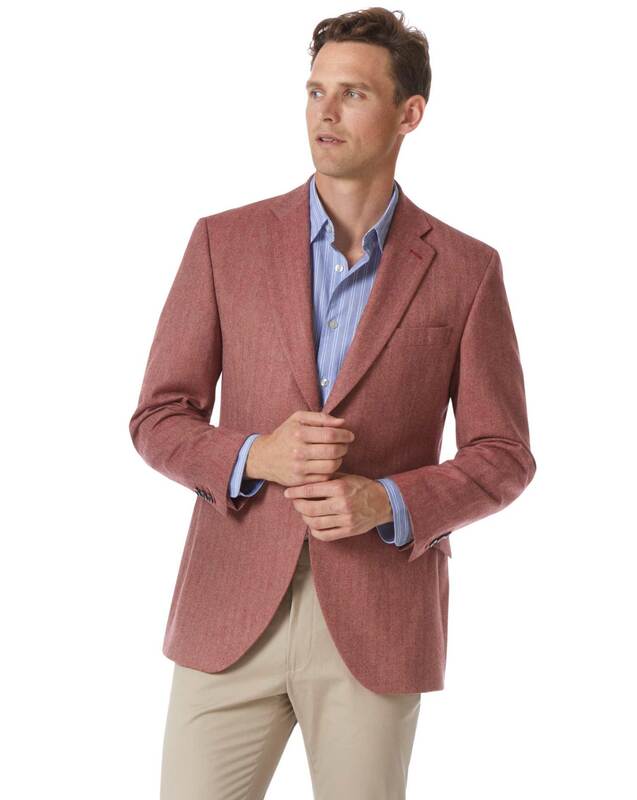 They wove the luxury wool, cotton, and cashmere fabric used to craft this stunning jacket. Wear it to pep up your casual look or to finish off your office getup. This is one of those pieces that get noticed for their smartness, so do practice that ‘This old thing?’ modest answer." "Wool, cotton and cashmere-blend jacket tailored from British fabric with a canvas construction and traditional details." 8 hours ago Neither received jackets nor a refund. Response from Charles Tyrwhitt: It appears we have received your order back from the carrier as, for an unknown reason, it could not be delivered. I believe our Warehouse Team has reached out to you via email concerning this, asking that you please confirm the shipping address as correct so that it can be resent to you as swiftly as possible. We do apologise for this, but hope to hear back from you via email very soon so you can finally be united with your purchase!